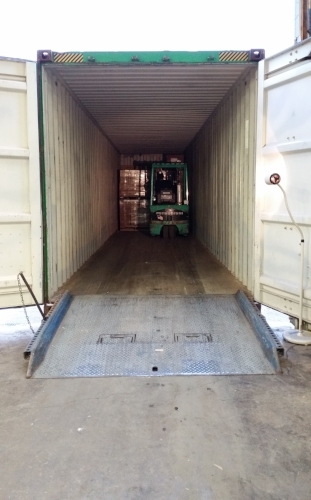 Do you have customers who want to own their own container when it gets to its destination? We can help you with shipper-owned containers. We have containers and surveyors throughout the continental United States, so we can provide you with containers that are in cargo-worthy condition with a fresh survey and easy to pick up for your customers. We can even provide custom prefixes for you when we renumber the containers. If you are not a freight forwarder but want to ship a container overseas? The first thing you'll want is a freight forwarder. They can help you with everything from booking the shipping line to arranging the trucking and all the paperwork that goes with it. One big question to ask yourself is if you would like to own the container when it gets to its destination. If you do not want to keep the container, you can use the shipping line's container. That is what most people and companies do. A freight forwarder can help you with everything in that case. 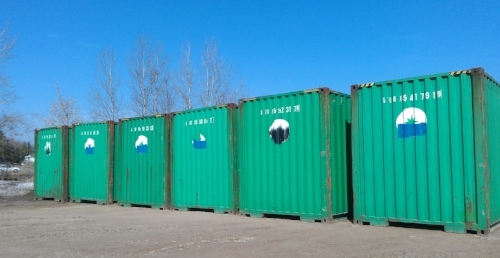 If you do want to own the container when it gets to its destination, we can help provide you with the actual container. You will still need to work with a freight forwarder or logistics provider to arrange to pick up the container from our location and get it to the destination. We provide trucking services where the container is either set on the ground or delivered on a flat-bed so the customer can take it off of the truck. We do not provide trucking services to the port or rail. 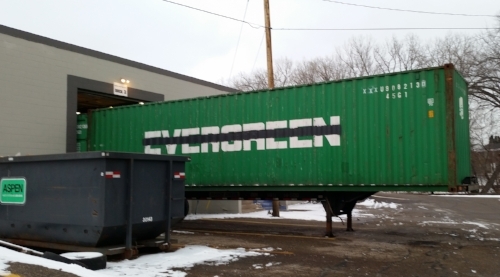 If we set the container on the ground, it will take a forklift or crane to lift the container up to put it on a truck to bring it to the port or rail. We do not transport full containers. Call us today to discuss your project at (877) 374-5452 .